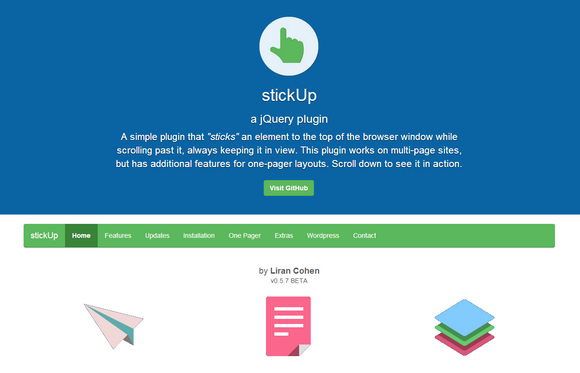 Stickup is a simple jQuery plugin that “sticks” an element to the top of the browser window while scrolling past it, always keeping it in view. This plugin works on multi-page sites, but has additional features for one-pager layouts. Although stickUp was made to work on any kind of website, it was originally designed for the “one-pager” style of websites. By using CSS the sticky navigation menu item will be highlighted as it’s correlating content is crolled in and out of view.